An espresso machine is the most important equipment you will own, especially when you own a restaurant or a café. Customers flocking to your business are looking for delicious espresso beverages that give them a quick boost and help them start the day. Coffee enthusiasts who ‘get a kick’ every morning with their daily dose of caffeine are looking for beautiful and simple coffee machines too. With such a widespread need for these nifty little machines and an even wider variety of products available, selecting one could be difficult. Selecting an espresso machine takes a great deal of time. A coffee machine does not only have to be beautifully designed but highly functional as well. After all, you will be better off buying a machine that makes the best use of the coffee beans, reduces waste, and brings a fresh new flavor for you every day. If you are looking for espresso machines that give you hot coffee each morning without having to rush to the nearest café, you should definitely have an espresso machine. Let’s take a look at best espresso machines for home use. This 30-pound, home use espresso machine is great for people looking for a quick espresso shot before starting their day. The stainless-steel body comes with dual boilers. You get OPV for limiting extraction pressure and dual Italian pumps to steam and extract coffee at the same time. Loaded with useful features, the product boasts of a backlit LCD panel that helps you regulate temperature and even provide assisted descaling. You get a water hardness test strip, apart from other advanced features, to get commercial machine level performance. You can use the PID temperature controlled boiler to get a powerful espresso shot while getting powerful steam from the second. Steaming is café quality, and you can expect the best use of coffee beans in the process, especially with the Razor Dosing Tool that measures the dosing precisely. The Over Pressure Valve or OPV helps you in limiting extracting pressure. This helps your coffee remain pleasantly delicious, instead of bitter and over-done. The best thing about this machine is that it lets you program that timing and pressure of the coffee making process. The machine comes with a 2-year limited warranty and boasts of café-rivaling taste with its 1700-watt powered system. Nobody likes stale coffee. Freshly ground beans always give the most authentic flavors of the roast and produce better coffee each time. However, it could be difficult to get delicious espresso made from freshly grounded beans each time you want to enjoy a cup. The machine comes with a powerful 1600-watt thermos coil heating system and a stainless-steel burr grinder. The stainless-steel burr grinding system gives you better quality ground, and its purge function helps you adjust water temperature per your own needs. The machine can be used by experienced baristas to create customized coffee blends for themselves. However, even beginners will find it easy to use the machine with the pressurized, dual-wall filters. This machine boasts of a 15-bar pump (made in Italy) which helps in getting the ideal temperature for making the perfect espresso. You will also be able to make cappuccino and lattes on this machine, for times when you or your guests want to take a break from the usual espresso. Its 360-degree swivel action steam wand helps you in texturing milk perfectly for the most amazing brews of your choice. The machine scores highly on design and durability. The design is sleek, and its stainless-steel body fits into any kitchen with ease. If you are looking for a machine that is elegantly designed and amazingly portable, then the Rancilio Silvia Espresso Machine should be your choice. The portable machine comes with an iron frame and stainless-steel side panels, giving it a beautiful and enviable look. It comes with a porta filter handle, one that you see in Rancilio’s commercial coffee products. The machine retains heat perfectly and your brew stays hot in the cup for longer. The steaming pressure is managed precisely in the machine, and you get commercial quality work done with a small home use machine. This machine is styled in a sleek traditional design and will fit most kitchen decors with ease. It is smaller than its counterparts, making it ideal for small kitchen usage as well. The best feature of this machine is its heat stability because of which the coffee is grounded perfectly and gives you barista-quality brews each time. The 58mm portafilter is great for an American sized cup. The brass boiler comes with chrome plating and holds 12 oz. of water (the largest for home machines). This gives it better steaming power and makes it perfect to brew multiple cups quickly. It also comes with a stainless-steel wand for texturing and steaming milk for times when you want to replace your espresso with a latte. Some home espresso machines are guilty of providing unevenly ground brews, but not the Infuser Espresso Machine by Breville. This machine comes with a [powerful1600-watt thermo coil heating system and a re-infusion function. This helps you get better heat stability and a delicious beverage each time. The machine starts with low water pressure when it extracts the brew and starts to expand grinding the beans gently to get a strong taste without the bitterness. Like most of its peers, the machine comes with a 15 bar Italian pump and auto purge function that helps in regulation steam temperature for the best coffee experience. The Infuser Espresso machine comes with a 54mm portafilter for the perfect brew. You can monitor extraction pressure and use the PID temperature control to suit your needs. For more convenience, the machine comes with a dry puck feature which removes excess water from the ground so that it can be cleaned easily. You also get a cleaning alert and a removable drip tray which makes maintenance easier. Overall, it is a fantastic machine for both beginners and experts who want to get a great brew and the most convenience. If you are looking for a beautiful, traditional, and portable design in coffee machines and enjoy no-frills coffee making experience, then you should choose the Gaggia 14101 Classic Espresso Machine. This machine brings the perfect commercial style coffee making to your home without the big designs. It can fit perfectly into any kitchen, regardless of the décor and the size. With two stainless steel filter baskets and chrome plated marine brass portafilter, you will be getting a great brew each time you switch it on. The heat stability of the machine is great and provides it an extra point for classic, hot brews with each roast. The machine is incredibly light at 17.6 pounds. Gaggia’s Italian espresso and cappuccino machines are perfect for getting a delicious brew that is not over-done. The machine has two heating elements and a 1425 watts system that helps you get a quick coffee. It comes with a 58mm filter that is usually found in more advanced machines. The entire boiler of the machine has been converted into a heating element, giving an even and well-extracted coffee. You can expect durability and exceptional shot recovery time. This is not all. It comes with a big cup warmer that can hold at least 5 cups at once. Which is the best espresso machine for commercial use? If you own a café and are looking for a heavy-duty, highly customizable, and durable espresso machine, you should choose one from among our selection. These machines boast of better heating, more even grounds, better customization options and shorter shot recovery times. Ready? Let’s take a look at best espresso machines for commercial use. This machine instantly catches your attention with its pleasing aesthetics and a sleek design. It also boasts of a quieter operation. The machine comes with two ceramic disc grinders, that ground coffee beans perfectly without making too much noise. These grinders are virtually wear-free which helps you get great coffee for the customers in the years to come. Apart from the traditional espresso, you can get 17 specialty coffees with different individually programmable functionalities. It comes with Rotary Selection and a beautiful TFT display that makes it easier to program your brew. Whether you are looking for a macchiato, a Café Melange, a Shakerato, a Pepresso or a Marocchino, you get it all with the touch of a button. Go ahead and ahead fancy coffees to your menu. You will not be disappointed with this machine. The machine is made in Switzerland, and you can expect great design sense and more durability from the product. The machine comes with a dual spout that can be adjusted for height as well as width. The machines have an amazing multi-chambered system (patented) that dispenses coffee, milk, and foam in the desired proportions according to the coffee. Overall, this is the perfect machine for any café that wants to serve a variety of coffee drinks to its customers without any hassles. If you are looking for a sub-$1000 commercial coffee machine that doesn’t compromise on design or durability, this DeLonghi Magnifica Super-Automatic coffee machine should be your choice. Though the machine is known for its amazing ‘Cappuccino system,’ it is great for making espresso and a variety of other coffee drinks. It is considered a great value for money buy that helps you in getting customizable functions and better grounds each time. The control button works at the push of a button to provide a variety of brews to the barista. The machine also comes with a patented ‘Direct-To-Brew’ system which helps you get the best espresso shots and grin beans quickly and perfectly. The bur grinder reduces noise and provides highly professional grinds. The machine works equally well with ground coffee as well as coffee beans. It comes with all the features of a full-size automatic machine, which makes it easier to use, even by a relatively inexperienced barista. It is easy to choose the density, temperature, and richness of each espresso cup with this highly customizable system. It is a perfect addition to a small café that aims to add rich cappuccinos, lattes, and espressos to its menu. If you are looking for an amazing machine that provides you delicious lattes at the touch of a button, this is the machine that you need. The DeLonghi Prima Donna comes with a patented Single Touch Latte Crema System that provides you delicious coffee with the touch of a button. It makes great espressos too. The best thing about the machine is that it comes with a hot water spout as well. You can make hot chocolate and tea with the help of this spout. This also lets you add more beverage options in your menu. The machine also comes with a 2-liter water tank which makes it easier for you to serve a busy café without refilling too often. This advanced coffee machine is for baristas looking for highly customized brews. It has a 3-liter water reservoir but can also be connected directly to a water line. This is one of the best features of this machine which makes it perfect for use in busy cafes.Even the drip tray comes with a 1-liter capacity to avoid continuous cleaning and save time. It comes with two boilers – one is dedicated to brewing (0.75 liters) and the second for steaming (2 liters). Each boiler is made of stainless steel and boasts of thermal insulation for better heat retention. Even the hot water wand of the machine comes with insulation. The rotary pump and RPM motor of the machine work almost noiseless. It comes with thermosyphon heating system which provides the best temperature stability to the E61 brew group, made of chrome plated brass. You can handle pressure and temperature with ease. This high-end espresso machine can help you get the same rich and dense espresso each time. It excels in consistency and high-quality brewing. Though the machine is expensive, it is perfect for any busy restaurant with high demand for coffee beverages. This is another one of the advanced coffee machines that will be perfect for busier cafes and restaurants. More expensive than any other espresso machines listed here, the Volumetric Group 2 is designed to provide high-quality espresso shots each time. The machine boasts of incredible consistency in quality. It is a barista’s dream come true. With advanced features and a highly customizable experience, there is no chance you will get a complaint about your coffee’s quality. Whether you are serving hundreds of cups of coffee each day or focusing on producing only premium quality brews, this machine can do it all for you. It boasts of precision design and T3 technology that helps you regulate temperature better. You can even control the amount of espresso you are looking for, so that grinds can be made bigger or smaller, according to the drink. It also allows pre-infusion at low pressure at the beginning of the grinding process which helps you get a more consistent taste. The auto steam wand is also a great addition to getting rich steamed milk or froth. This is the best-in-class espresso machine you can buy. An espresso machine is a coffee lover’s ultimate home gadget fantasy. With a good espresso machine by your side, it becomes easy to get your daily coffee boost or a refreshing latte on a relaxed Sunday. However, not all espresso machines are made equal. Coffee machines can be segregated by use. The first is domestic or home use machine which is used for creating quick and simple espresso shots for home use. You do not get heated wands, insulation, and programmable functions on these machines. The second is commercial use machines. They come with high end patented designs, heavier models, highly customizable settings, metal designs, and advanced features like thermosyphon heating, cup size adjustment and more. You can also categorize espresso machines according to the pressure mechanisms. The high-end commercial machines use rotary pumps while most domestic use machines work with vibrational pumps. You also get the single boiler and double boiler variants in the market. The perfect machine for you will depend on your needs as well as your budget. French press: An automated French press will provide you with the exact ratio of water to coffee as they have in-built thermometer and digital scale in them. Pour over: If you buy a pour-over style automated coffee maker, it is going to heat the water in your preferred temperature and also ensure that the water is bloomed over the grounds rather than flooding it. Siphon: Siphon coffee maker, irrespective of them being manual or automatic, use vapor pressure to heat water and push them through the siphon tube. The gas there after creates vacuum suction that pulls the water down, making your coffee. Time: This is one feature that can freshen up your mornings! You can set the time on your automated coffee maker to make sure that you wake up to freshly brewed coffee. You could even set separate timing for each day of the week. Temperature Control: The ideal temperature for brewing lip smacking coffee is between 190 and 200 degrees. If you do not set the temperature right, the quality of your coffee won’t be good. A lot many drip coffee makers comes with the feature of auto-off to save energy. Strength of Brew: There are also some coffee makers that allows you to control the strength of your coffee. You could choose from light, bold or medium flavour just from the click of a button. The more amount of time the water stays with the grounded coffee, the stronger will be the strength of the brew. 12 cups: These coffee makers are for those who need coffee more than once or twice a day or for homes that have multiple coffee lovers. They can also be great for people who like to have tea/ coffee parties once a while. 4-6 cups: If you drink more than one cup per day but do not need as many as 12 cups per day, these coffee makers are for you. They can make you coffee between 4 to 6 cups daily. Single serve: If you want to quickly make for yourself a good cup of coffee, single serve machines are ideal for you. They are also ideal for those traveling and need coffee once a while. Permanent filter: A modern automated coffee maker will have filter compartments that uses paper or reusable filters that has to be deep cleaned once every three-to-four months. In-built grinder: The way you ground your coffee beans will directly affect the flavour of your coffee. Some automated coffee makers come with in-built grinders that can grind coffee beans into the filter directly. Pause and serve: If you feel you want to taste the coffee before the maker makes a whole pot, ensure that your coffee maker has a pause-and-serve option. This will pause the process for you, pour a cup of coffee for you and then get the brewer back to brewing the coffee in the pot. Even if you are buying a home espresso machine, you will be spending more than $350. That is a big amount of money. So, you need to be extra careful about the durability of the machine. Get only those machines that have a proven track record of durability. P.S. a European brand often offers better durability. Burr grinders are common on many commercial machines and high-end models even come with noiseless ceramic grinders. The rest come with steel bodies and stainless-steel grinders. The quality of the grinder will decide the quality of your brew. Make sure you see one in action (even if on YouTube) before deciding what to buy. When buying online (like Amazon) pay close attention to the customer reviews. You want to be able to make better buying decisions based on what other people have experienced. Therefore, find some time to read the customer reviews after reading the product description. You will get to know if you are buying the best or the worst. How much do you spend on coffee? Will it be worth buying a coffee machine instead of buying a cup on your way to work? How much are you ready to pay for a coffee machine? Answer these questions before you get an espresso machine. If you want to brew French press coffee, it can also be done manually. All you need is classic glass flask, roughly grounded coffee and water that has to be heated at 190-200 degrees temperature. Let it precipitate for about four to five minutes, now take a plunger to filter the grounds from the water. The good part about having a coffee maker is that they would have in-built timer and a digital scale to measure the exact temperature required and the amount of water against coffee ratio. A drip coffee maker is the basic form of automatic coffee maker which includes all the standards that you will want to have in your coffee maker such as preset on and off setting, temperature control, and control option for brew strength. If you want to enjoy lip smacking espresso just as the barista brews, you are definitely in need of an espresso machine in your kitchen. You could get a fully automatic espresso machine that will prepare espresso for you at the click of a button. But if you want to enjoy the experience of brewing espresso, you could go for a pump or semi-automatic one that will give you more options of control. If you buy a pour-over style automated coffee maker, it is going to heat the water in your preferred temperature (within 190-200 degrees) and also ensure that the water is bloomed over the grounds rather than flooding it. Percolators are known to prepare coffee by cycling hot water through coffee grounds in a classic coffee filter. There is a small chamber at the bottom of the pot which generates heat. This is connected to the pot through a tube that passes the heat to the water. This is a modern design to the classic brewing machine. Vapor is used as a pressure to push heated water through a siphon tube. When this comes in contact with gas, a vacuum suction is created, thereby pulling the water down, creating coffee. The moka press coffee makers make coffee on stove top. The bottom of the machine comes with a reservoir where you can fill in cold water. There’s a metal filter right above this, where you put the grounded coffee beans. When the set temperature has reached, you can enjoy a cup of coffee for yourself! These are the single pod coffee makers which allows you to make a single cup of coffee at a time which is 14 ounce, but all of it at the push of a button. If you are not the kind to have too much coffee through the day but a cup or two suffices, you would definitely not want to go for the 12 cup pot or even a personal sized pot of 4-6 cups. These coffee pots are ideal for those who enjoy coffee while traveling as well. Are you bored of that outdated office maker that is noisy and brews just bland coffee? You don’t even need to compromise with lukewarm water-made bland coffee. A lot of the modern coffee makers are made in a way that they can be used for heavy use. Whether you want to brew for one serve or for a group of people, it is durable and you are assured of good tasting coffee for yourself and your colleagues throughout your work day. You love the taste of the coffee from your favourite coffee shop but you come back home to treat yourself with bland coffee. Doesn’t that already sound sad? Get a modern coffee maker for your home kitchen that can brew coffee just like your favourite barista, bringing out the freshness and aroma of good coffee beans. Get rid of your machine right away and buy the one that suits your taste and needs on a daily basis. Keurig coffee makers are popular among homeowners because they are aesthetically pleasing and fit into any kitchen- whether a small apartment or a small café. Over the years, Keurig machines have become a staple of every household kitchen because they make great quality coffee as well as tea and hot chocolate. If you are looking for a good quality coffee maker that will also not burn a hole in your pocket, then the Keurig coffee maker is right for you. Keurig helps you brew good quality coffee that is also easy to use. Keurig as a brand has been manufacturing high end coffee makers that are innovative, and comes with many advanced features and better functionality. The approaches of Keurig as a brand is so innovative that as a buyer you will be taken in by surprise with its amazing features. It is the ideal brand for avid coffee lovers who like to enjoy good quality hot beverage. 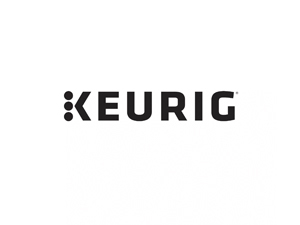 Keurig as a brand has acquired a huge customer base in the coffee brewing experience, in over a span of 35 years. 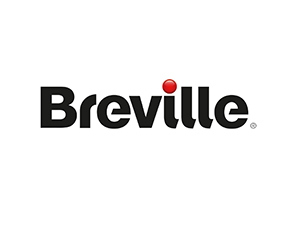 Breville has been manufacturing some of the best espresso machines and kitchen appliances in the market since 1932. They have been award winners in making innovative kitchen products that are not just high end in quality but also affordable. Most of the coffee makers from Breville come with a warranty of a year, which means that you don’t need to think much before experimenting with brewing techniques on it. The customer service of Breville is also excellent and you will mostly see positive response online. The representatives will get back to you in addressing your query within a week’s time. Most of the features that comes with Breville espresso machines are easy to use and designed in a way that not just brewing experts but even beginners can use it at ease. These espresso machines are designed using stainless steel which makes them durable in quality and easy to clean. BUNN is one of the best selling coffee maker brands both for individual as well as for commercial purpose. Whether you want to make coffee for members in your family or use it in a restaurant, you will be assured of good quality espresso. 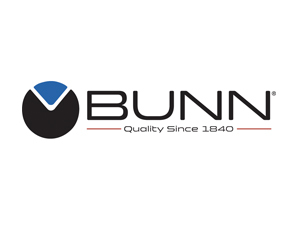 BUNN is one name that can provide you with espresso machines for all kinds of needs and business. Almost all their espresso machines are popular with coffee lovers and used in offices as well as in commercial enterprises. Some of the coffee makers will last you for as many as a decade. And this is added with excellent customer service from BUNN. In case you want to replace a unit, it usually happens within a two week’s time. BUNN is a Chinese brand but unlike most Chinese brands which manufacture degraded quality products, BUNN comes as an exceptional brand. All BUNN espresso machines come with a 3 years warranty or even more. KitchenAid Coffee Maker design kitchen appliances for specific purposes catering individuals needs as well as for a household of dozen people. The core ideology behind this brand is to design products that can cater to needs of the household at multiple levels and at the same time not compromise with the quality of the product. There’s no harm in getting a product that can save you a daily $80 on a Starbucks coffee. 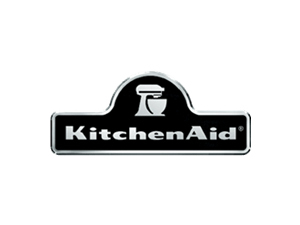 KitchenAid as a brand focuses on details and at the same time come up with products that are beautiful in their design as well as has universal appeal. With that much of attention to details and aesthetics, you are assured of high quality coffee makers that can cater to single serving demands as well as for multiple serving purpose. They are easy to use and you can brew for yourself coffee that is of the same quality as your favourite cafeteria, and all of it at an affordable price. Most of the espresso machines and coffee makers from KitchenAid comes with a warranty of within two-to-three years that also includes free customer service guarantee of 90 days. Nespresso is also a single-serving espresso maker and comes in two options. One is the Nespresso Original Line which makes drinks like cappuccino, latte etc, while Nespresso Vertuo Line makes espresso and coffee. Anybody who is an espresso or milk-based coffee drink lover would love this espresso maker. 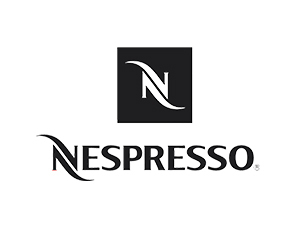 Nespresso is mostly European-styled and do not come with a large water holder, unlike Keurig coffee makers. In case you feel you want to top the espresso with hot water, you might have to refill the holder after 4-6 servings. Some of its common striking features are LCD display, temperature control, automated clock, water filter, sleek design, countertop footprint. Nespresso coffee machines come with a descaling mode designed for optimal internal cleaning. These machines can last for close to 5 years depending on your daily usage. Nespresso coffee machines are reliable and durable. Some problems may arise when working with espresso machines. Most problems can be fixed very easily, without having to call the manufacturer for servicing. Here are a few common problems and their solutions. You should be using preheated cups only with espresso beverages. If the machine is unable to dispense hot coffee, you must adjust the machine to position two and wait for 15 minutes to let the temperature reach 1.0 bar. If the speed of coffee dispenser seems off, you need to check the grind. Your coffee could be ground too coarse or too fine. If yes, then change the grind settings and see if the speed comes back to normal. If it does not, check if the pressure is set at 9.0 bar. You can also see if the filter has enough coffee. Make sure that the filter is cleaned every day for proper functioning. This could be a case of improper coffee dosage. Adjust the weight of the coffee beans and try to install again. The filter basket or group gasket could be damaged. Call the manufacturer for servicing. Espresso machines are perfect for both home and commercial use. They provide the coffee of your choice, whenever you want. Having an espresso machine at home could give you more power to customize your drink while a commercial machine will help you provide rich beverages to your customers with consistent quality each time. Use our guide to find the best home espresso machines and get more value for your money. Before we begin, a Home Espresso Machine is a particular type of espresso machine that has been built for home-based espresso-making needs. They are not meant for commercial use, and may not have necessary certifications or meet up with the essential standards. Well well, we have reviewed each and every home espresso machine and by our expert recommendations we have picked our top picks and best buy. 1 Which is the best espresso machine for home use? 2 Which is the best espresso machine for commercial use? 6 What Are The Different Types Of Coffee Makers? 7 What’s Your Coffee Maker Persona?